Home » Village Shop of the Year 2016 » We’ve been shortlisted for Local Shop of the Year 2016! 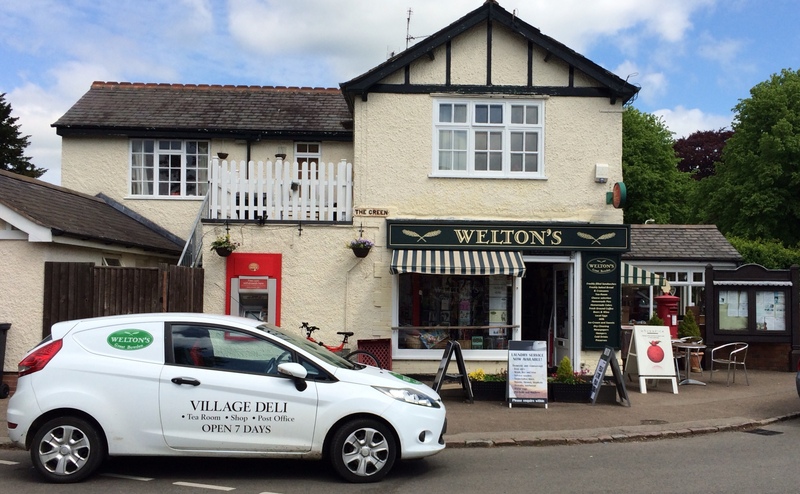 The finalists for the Farm Shop & Deli Awards, back for the third year by popular demand, have recently been announced (and Welton’s has made the cut yet again!). The awards, in partnership with Olives Et Al, recognise the best in class in the specialist independent retail market. They celebrate the very best standards, levels of service, product innovation and community involvement in the sector. Simon Hurley, MD Olives Et Al says: “Not only is the show an opportunity for us to connect with customers and suppliers, it also provides a platform to celebrate the best in the industry. In a sector which has shown continuous growth, the awards highlight the quality and dedication of these independent and speciality businesses. The awards commend retailers’ success in speciality sectors and regions respectively. With over 350 entries nationwide, competition is high to obtain these coveted accolades. Category awards are up for grabs across 12 different specialisms including Local Shop of the Year and Welton’s is just one of three finalists in the running (so we’d love it if you could spread the good word and show your support). The team of judges, which includes experts from the world of speciality retail, fine food and food media, has whittled down the entries, carrying out a series of ‘secret’ visits to see the retailers in action. Scores will be counted and judged along with online votes from consumers ahead of the winners’ unveiling. Elaine Lemm, the Co-Chair of judges and Food Writer, says: “Every year I feel the standard of entries to the Farm Shop & Deli Awards could not possibly get any higher. Every year I am wrong and this year is no exception. “From the tiniest of shops, market stalls, and sole traders, to the largest of food halls and farm shops, the passion, dedication, and hard work shines through from everyone, is it any wonder standards continue to climb? The winners of the awards, also held in association with category sponsors Lakeland Computers and A F Blakemore & Sons Ltd, will be announced at show on Monday 18 April for visitors to get the first glimpse at those companies leading the sector. Farm Shop & Deli Show Event Director, Jack Halliday, said: “The awards are an excellent way to reward those leading the specialist retail sector. “They set an exceptional industry standard across the categories and regions through targeted innovation and true understanding of what makes consumers tick. Regional winners will be selected from the above finalists and announced at the show on Monday 18th April.